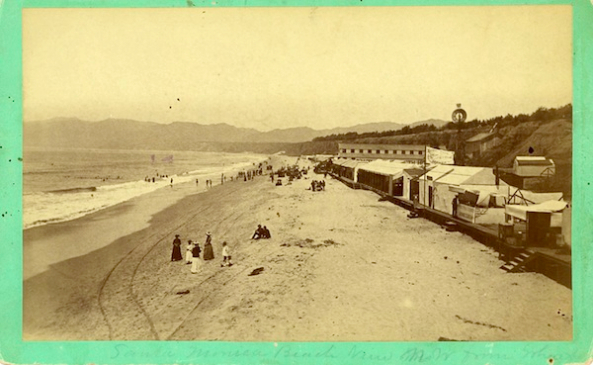 Curious about what Los Angeles and Santa Monica looked like as they made the transition from hamlets to big cities? The Huntington Library in San Marino has acquired 4,600 images that offer telling glimpses of life in Southern California from the 1870s to the 1950s, starting from when the arteries of downtown L.A. were dirt roads. 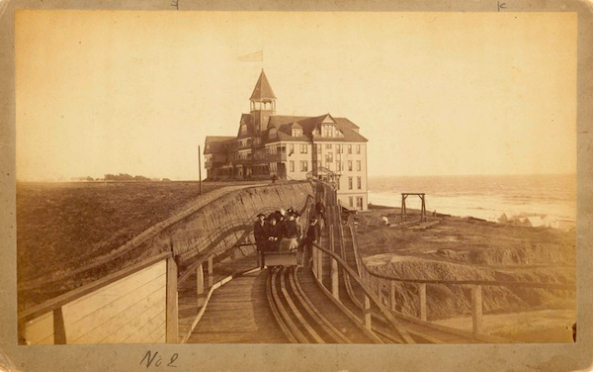 Back then, ladies visited the beaches of Santa Monica—and rode the wooden roller coaster there—in full-length black dresses. 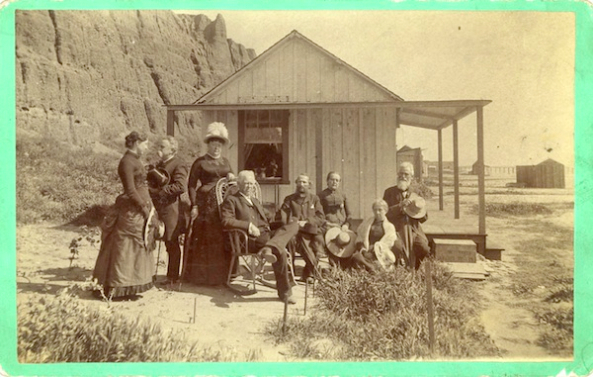 Many of the Huntington’s images were first produced to promote Southern California as a place to visit and settle. 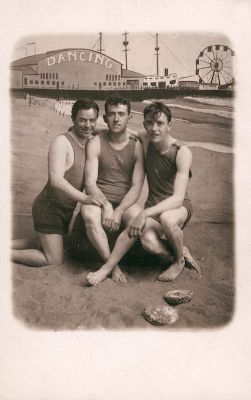 Tourists purchased images mounted on cards as souvenirs for friends back home. 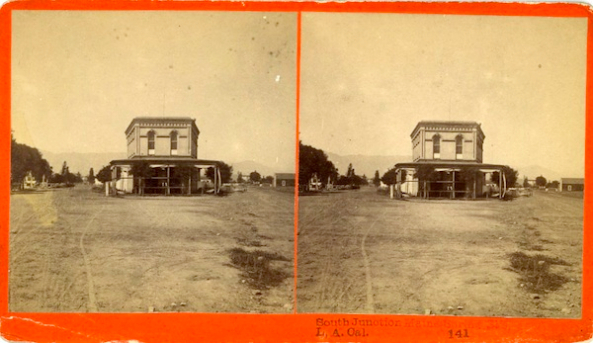 Taken with a camera that had two lenses positioned eye-distance apart, some photos allowed for 3-D views when seen through a special stereoscope. 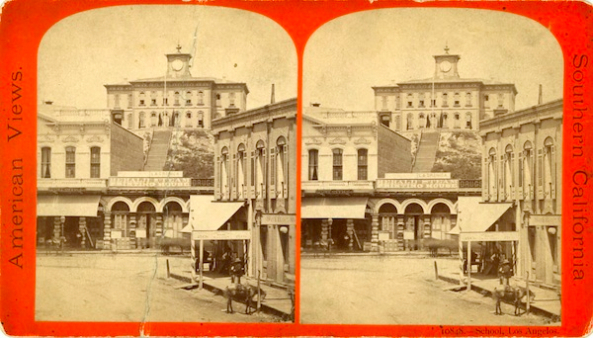 Stereographs were a popular form of entertainment in American parlors from the 1860s through the 1900s. The photographs came from Ernest Marquez, a collector whose family owned the Rancho Boca de Santa Monica, a 6,000-acre expanse that included present-day Rustic and Santa Monica canyons, Pacific Palisades, and portions of the city of Santa Monica. 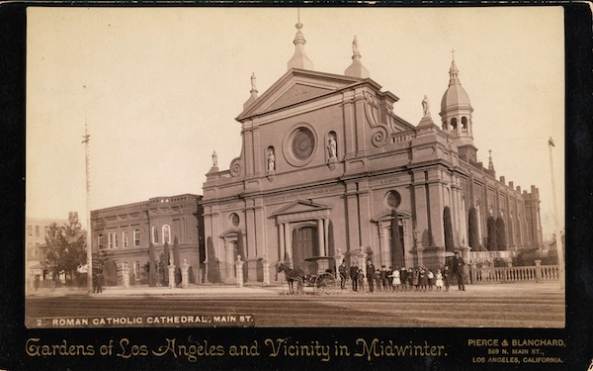 Unable to find evidence of his ancestors in the written record of Santa Monica, Marquez began searching for photographic evidence, Watts said. 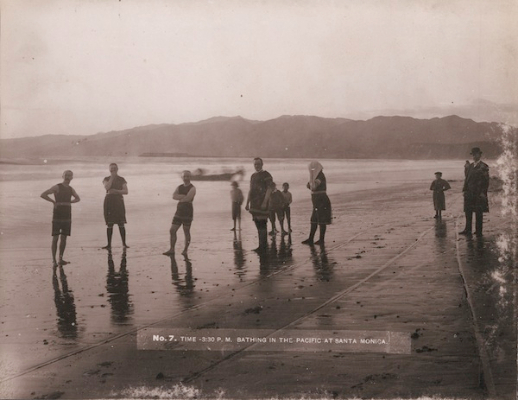 He visited antique fairs, antiquarian book shows, paper shows, and flea markets and, over 50 years, amassed a photo collection of early Los Angeles, Santa Monica, Santa Barbara, San Diego, and Orange County. Marquez was a sharp, methodical curator, Watts said. 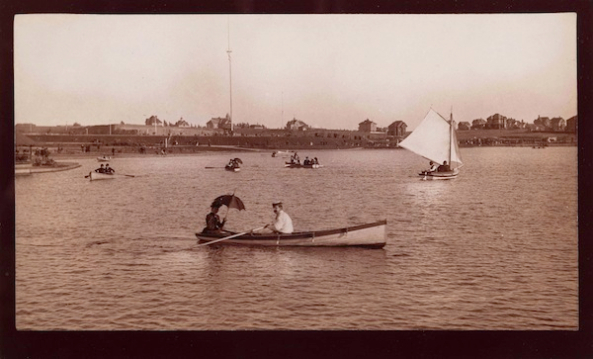 His collection features many views of the same place and vantage point, taken over several decades. 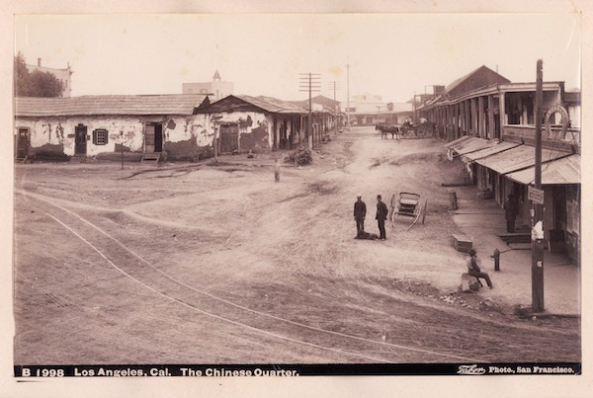 The collection, for instance, has several photographs looking north from 9th Street at the intersection of Spring and Main streets in downtown Los Angeles. 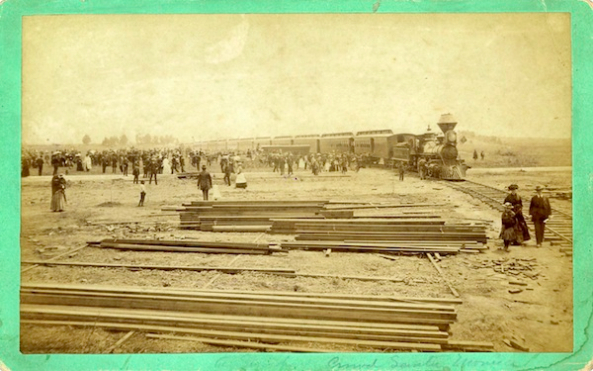 In 1875, there is only a modest building in a wide expanse of dirt crisscrossed by wagon wheel tracks. By 1906, the trappings of a city have sprung up—stores packed next to each other, street lights, curbs, and a street sign marking “S. 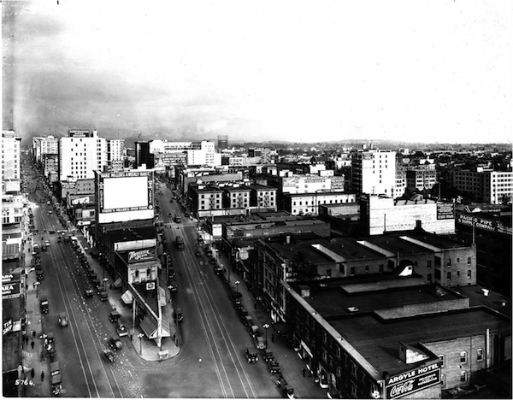 Spring.” In 1926, an aerial view features tall buildings, parallel-parked automobiles, Pacific Electric Red Car streetcars, billboards for beer and Coca-Cola—a hive of industry eclipsing the placid mountains in the far background. 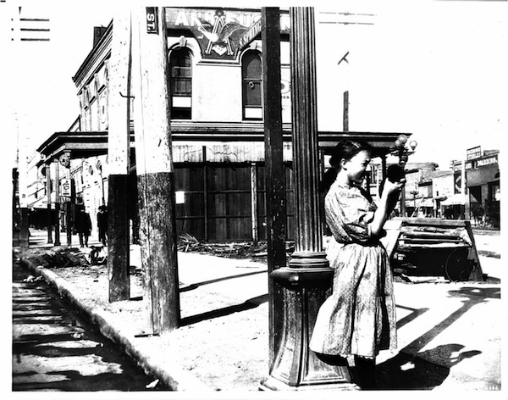 And while you may or may not see the ghosts of L.A. past at that very same intersection today, these photos give you the sense that in two or three more decades the view will be entirely different. *Photos courtesy of The Huntington Library, Art Collections, and Botanical Gardens. 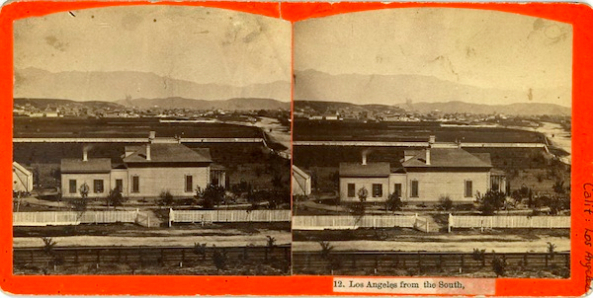 Downtown L.A., Huntington Library, Los Angeles history, photography, Santa Monica, Thinking L.A.